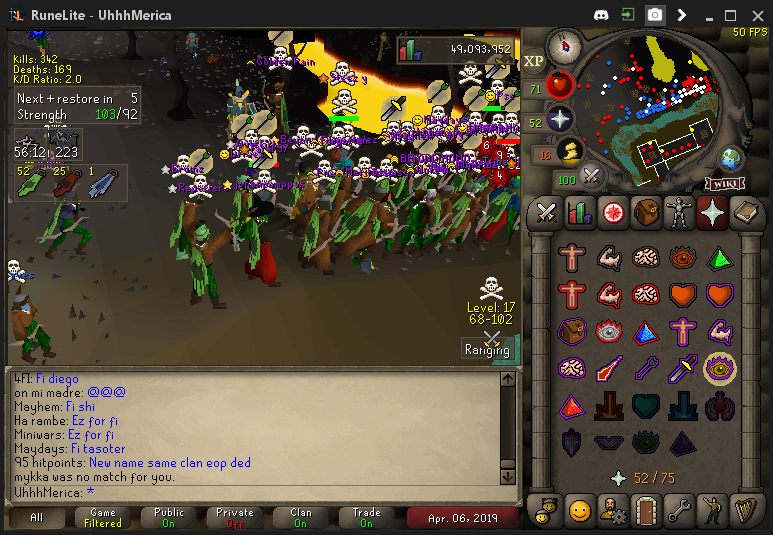 Started this beautiful Saturday out with a strong 53 Fatalians leaving edgeville, later peaking at 64. 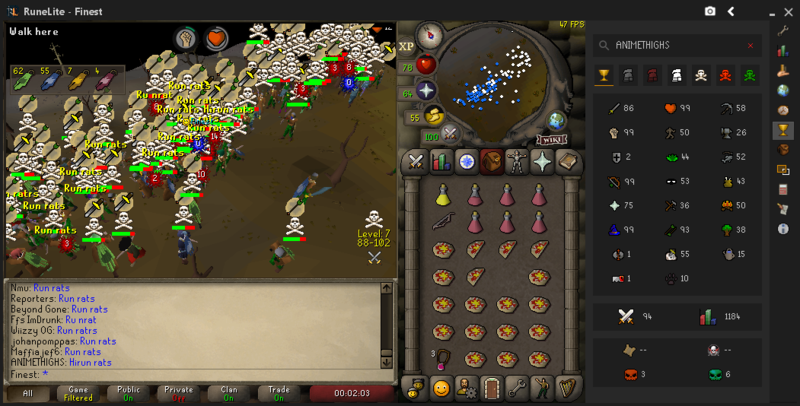 Started off the trip by fighting Supremacy, which turned into a big cluster. 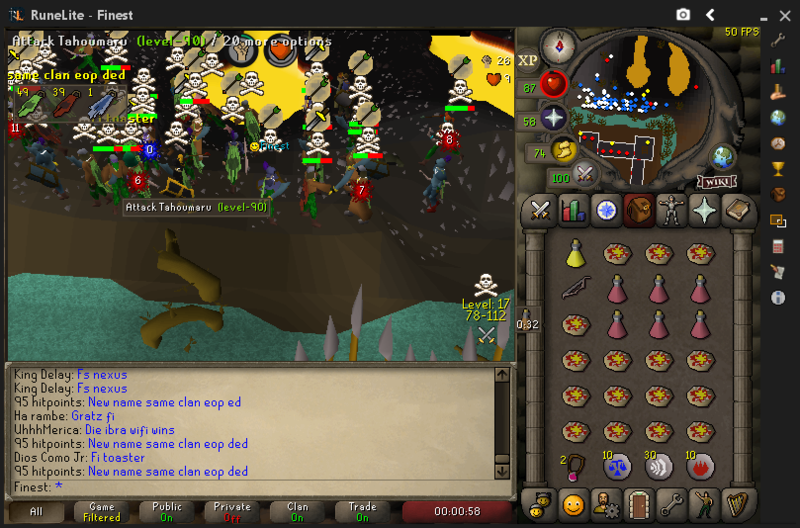 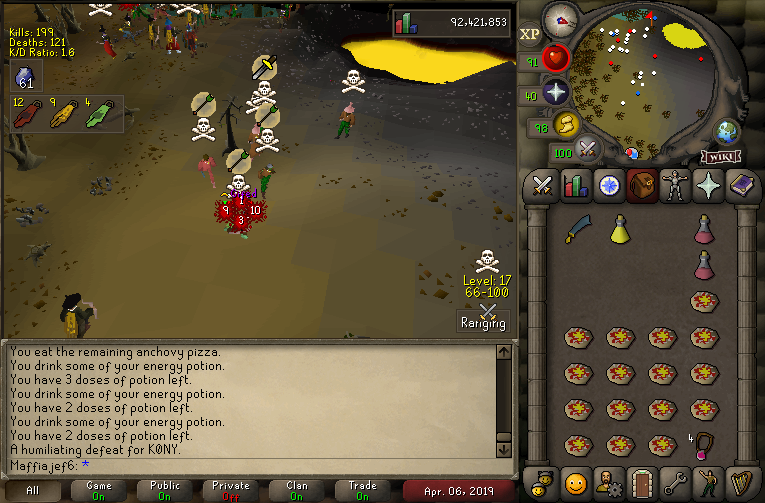 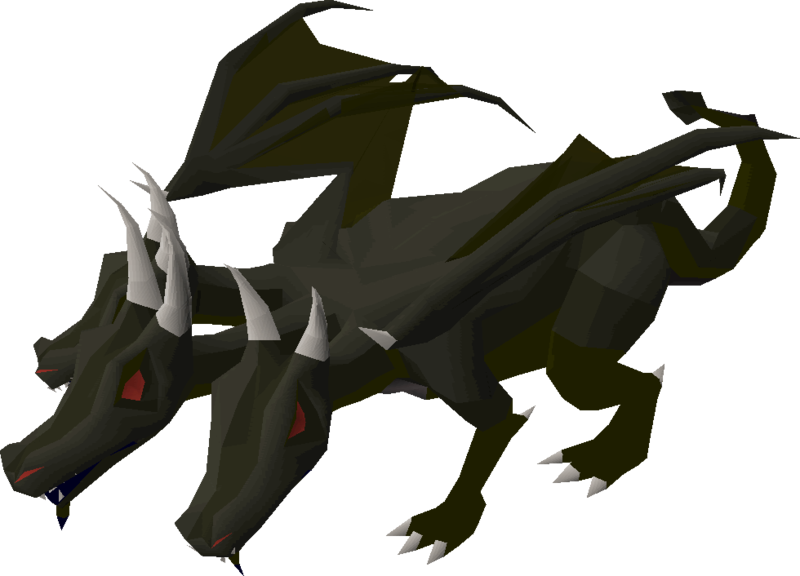 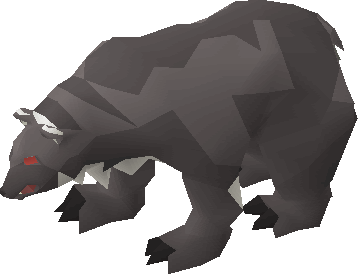 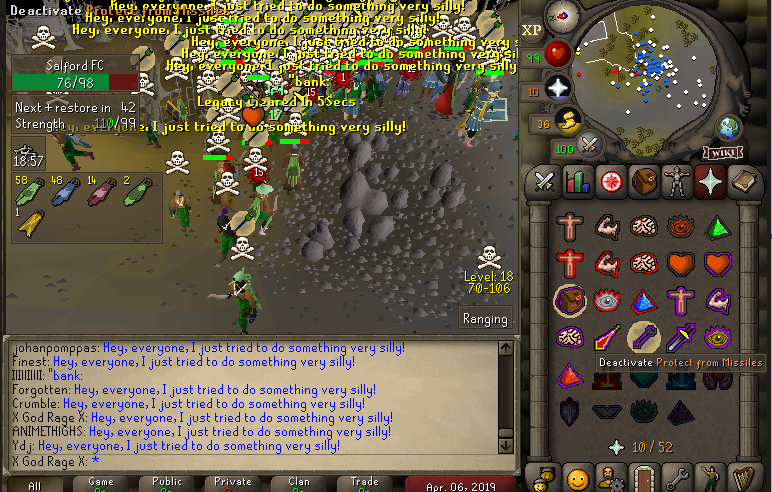 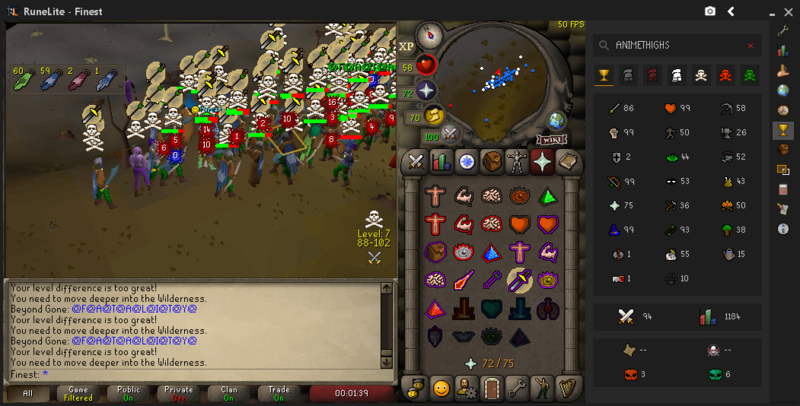 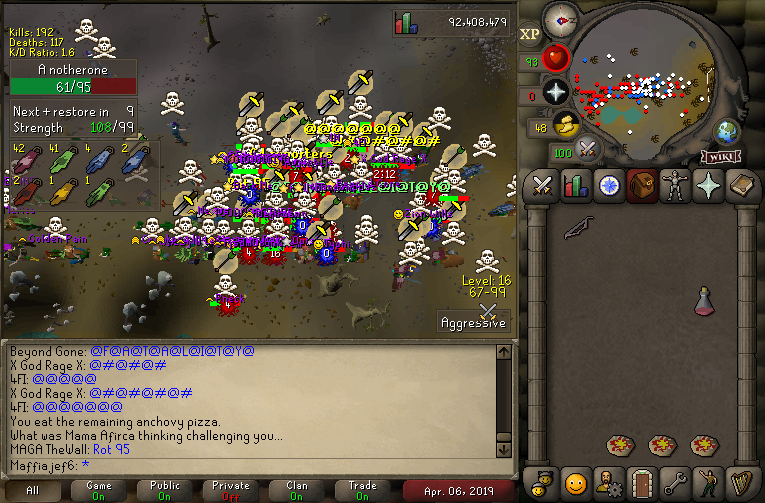 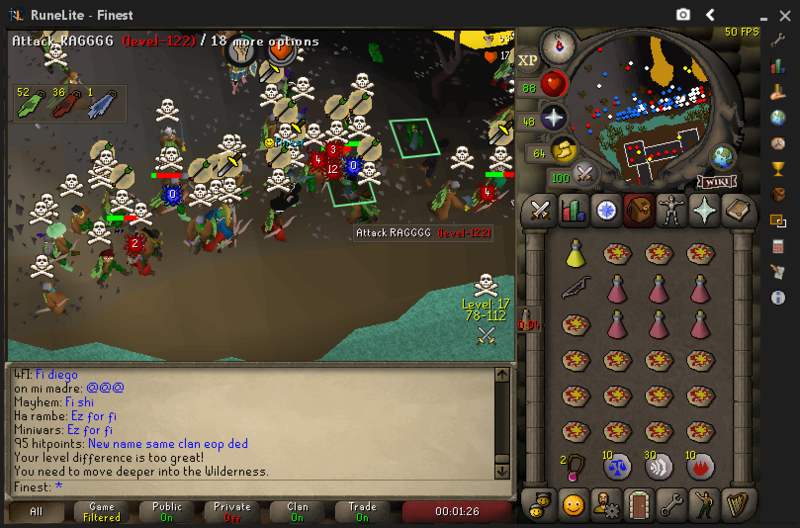 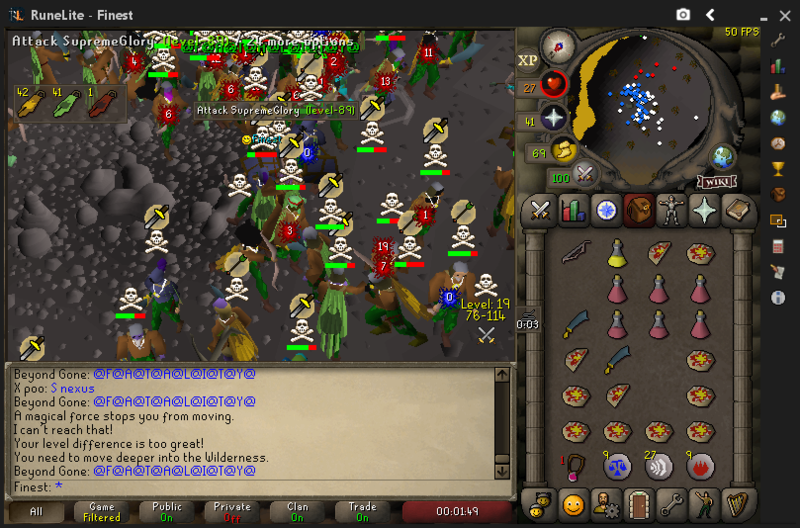 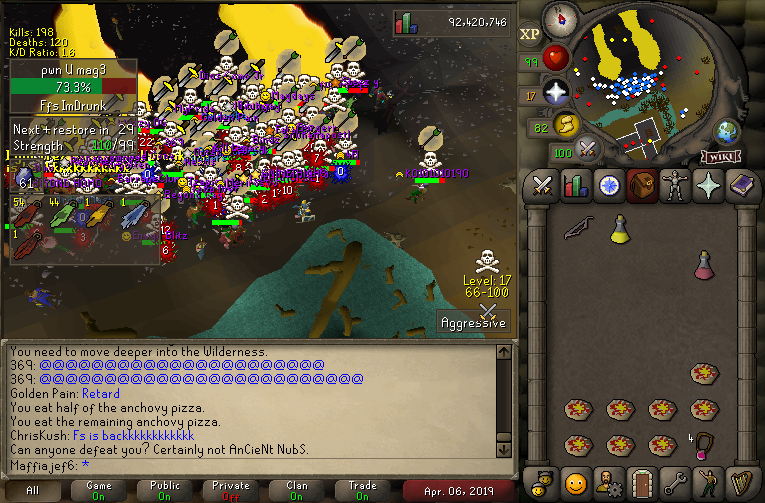 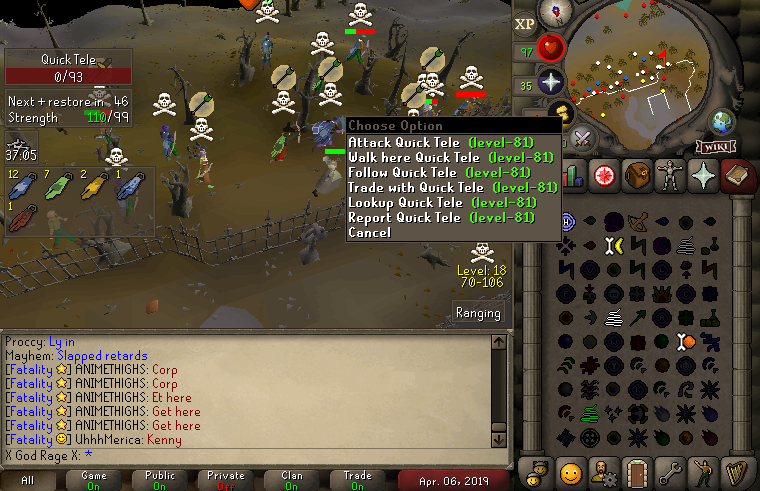 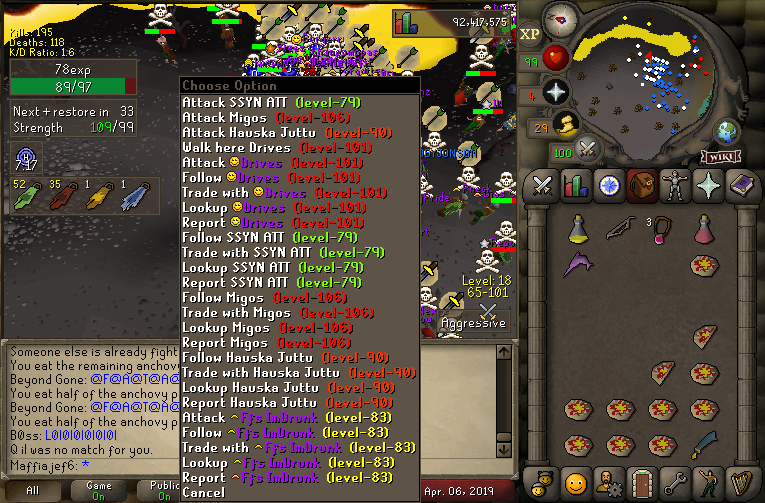 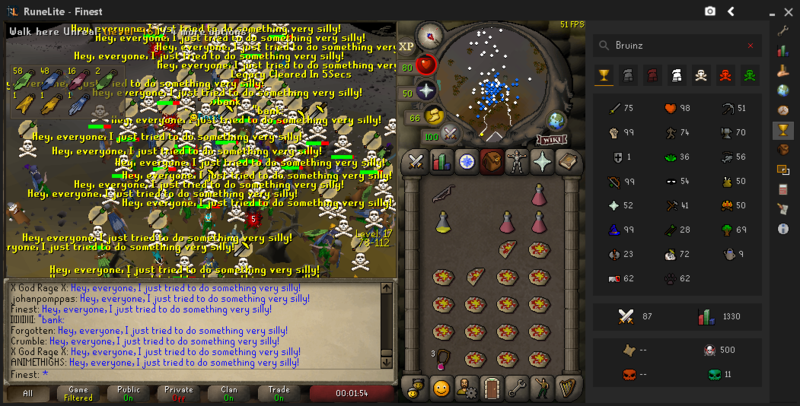 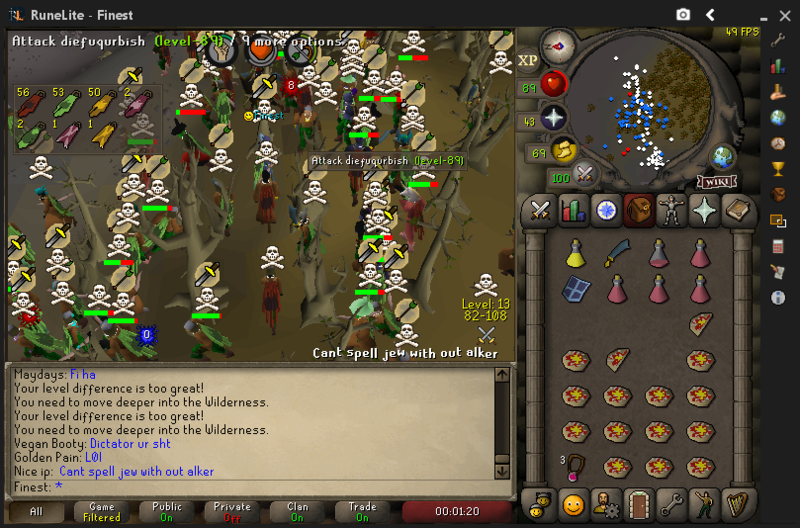 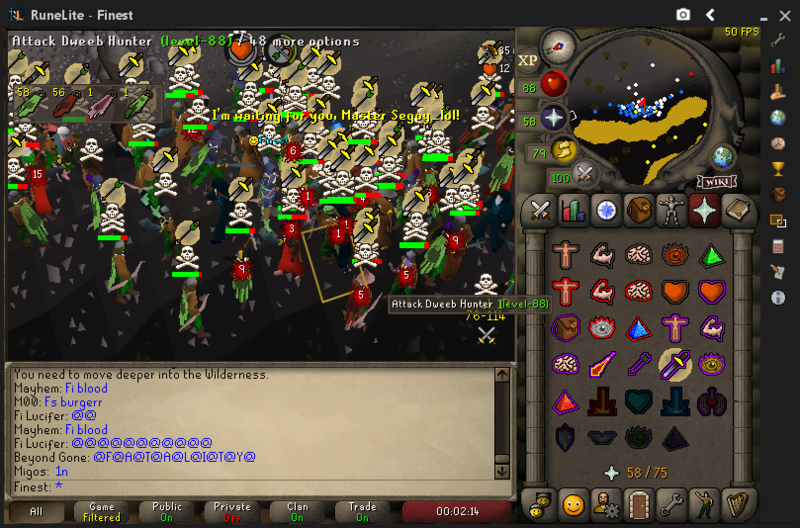 Walked Legacy around the wilderness making their members ask "why wont we fight Fi" (you had signups for this btw) . 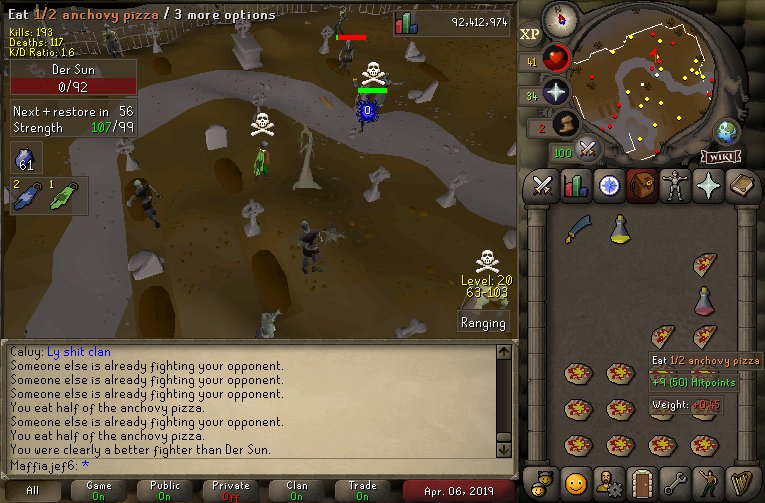 And ended the day with some sick fights against Fearless.